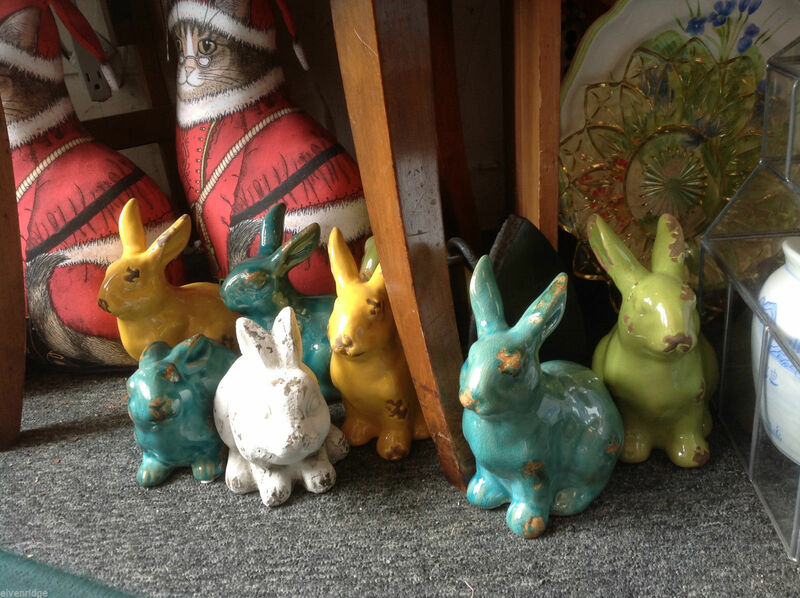 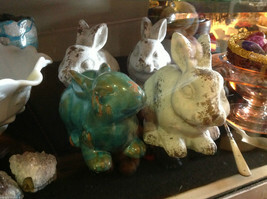 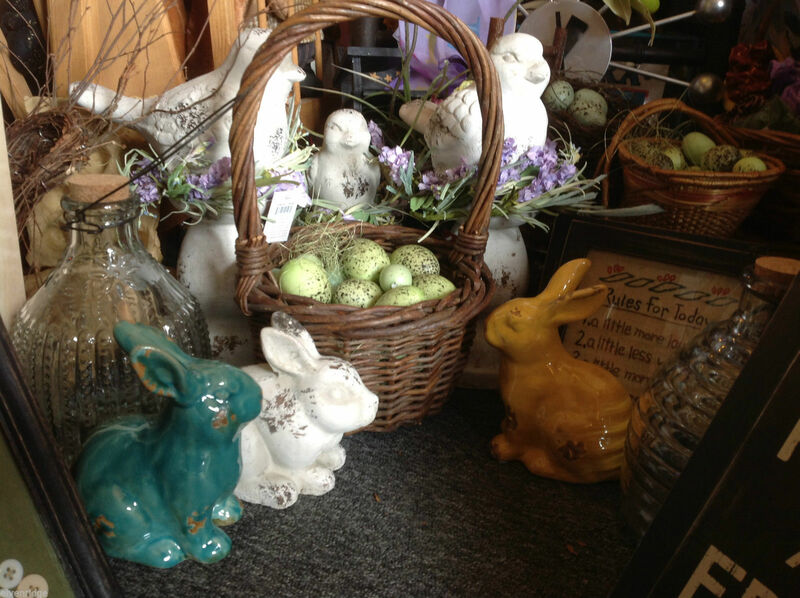 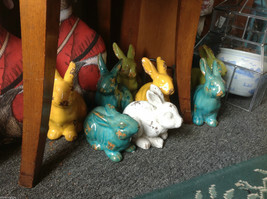 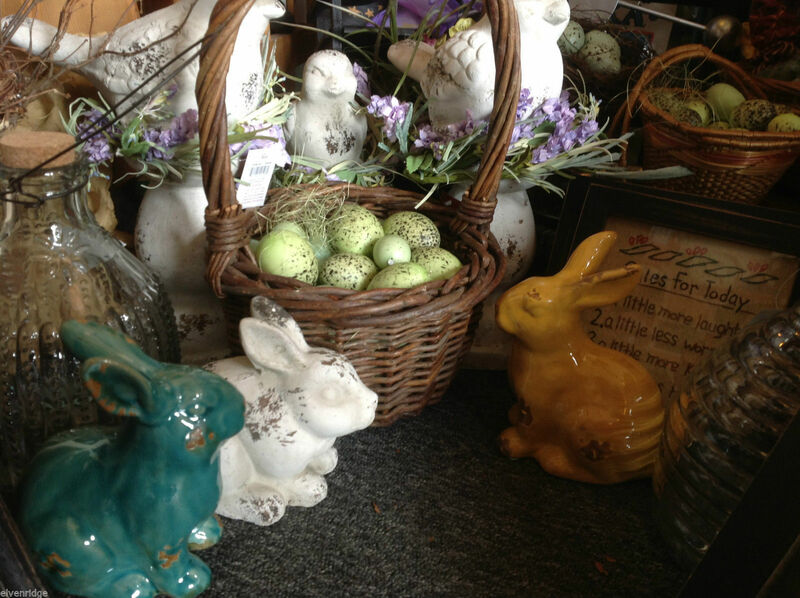 TOO cute ceramic rabbit for your springtime and holiday displays! 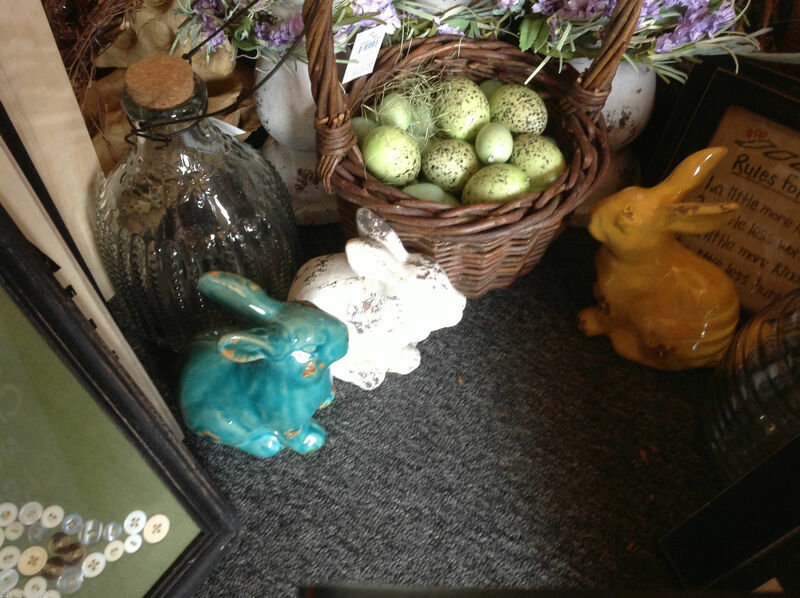 Just in time! Blue yellow and green come in sitting up or crouching down. The white ones are only crouching. We will combine shipping to save you money! These cuties measure approx 5 x 6 x 4 (which depends upon whether they are sitting up or crouching down).